Believe us: You are not alone. You’ve been wanting to reorganize your garage for years, but something almost always seems to take precedence. Or, you just lose that motivation! However, the time has finally arrived, and you are definitely ready to take the bull by the horns and reclaim what seems like an eternally cluttered space. Before you dive in headfirst, plan to get rid of the items you don’t need first. After all, it’s difficult to organize your garage if you hold on to things you haven’t used in over 20 years. The key is to have a garage or yard sale to discard these items before you start organizing. Make a mudroom area. Do you ever dream about having a place that everyone in the family can remove their dirty shoes before stomping in to your nice, clean home? Section out the entryway corner of your garage to create a “mudroom” area. Add a tray for boots and a rack for hanging sweatshirts, hats and jackets. Round up sports equipment. Basketballs, baseballs and soccer balls can roll; create a ready-access cage system for sports balls using bungee cords. The cords bend easily for storing and retrieving, yet hold all your gear tightly when not in use. Design off-the-shelf storage. There are many DIY storage solutions available on the market today. Or, you can ask a home remodeler about possible options. Additionally, take advantage of garage nooks with platform storage – these areas can easily work to hold seasonal items, such as holiday decorations you typically tuck away for use once a year. Utilize the walls. A securely mounted pegboard system can help you get your tools – hoses, rakes and clippers – up off the floor and out of the way. Plus, it’s a great way to always be able to see what you have when you need it. Label everything. Taking the time to label each and every drawer and shelf can make a huge difference. If you are sick of combing through drawers and bins full of random nails, screws, and bolts, take the time to organize each individual piece by type, and then label accordingly. Sound a little painful? Yes, maybe. But is it worth it? Yes, 100 percent. 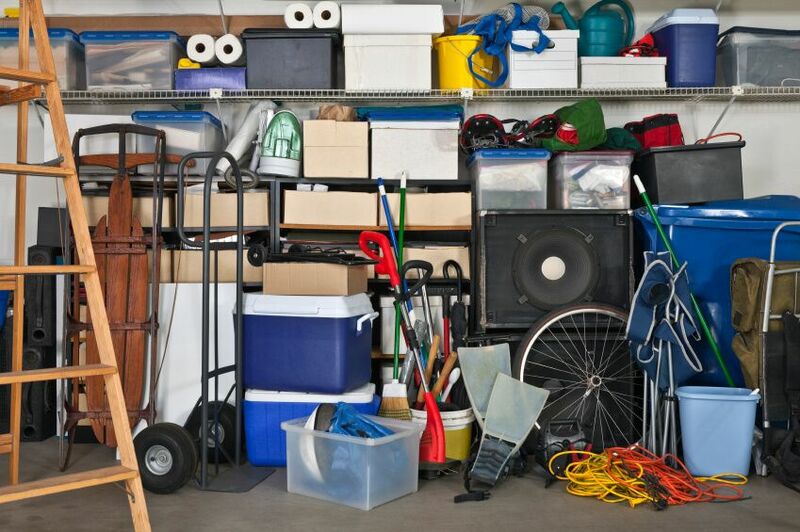 Are you thinking about reclaiming your garage space, but don’t know where to get started? At Republic West Remodeling, we can help with all of your home remodeling needs, including suggestions on how to better organize your garage.